In campaign’s last days, PM vowed to extend Israeli sovereignty to all West Bank settlements. Now that he’s clinched victory, will the White House peace team push back? WASHINGTON — With Prime Minister Benjamin Netanyahu’s election victory Tuesday night all but assured, US President Donald Trump faces a moment of truth. For months, the president’s team tasked with forging an Israeli-Palestinian peace accord has indicated that it would wait until after Israel’s election to unveil the proposal. Its diplomatic efforts, led by Trump’s son-in-law Jared Kushner and special envoy Jason Greenblatt, have stalled in the past. (Trump himself said in September the team would release the plan by January.) But now, Trump’s advisers are one step closer to their self-imposed deadline. A Channel 13 report said Monday that the release would depend on who won the election, but that the White House was aiming for mid-June. From now until then, the White House — if it does in fact release any sort of proposal — will have to respond, in one way or another, to Netanyahu’s election eve promise to annex the settlements of the West Bank. On Saturday, the Israeli premier went on television and promised to extend Israeli sovereignty to all of the settlements, including those outside the main blocs, in a bid to shore up his right-wing base. “I am going to apply Israeli sovereignty, but I don’t distinguish between settlement blocs and isolated settlements,” he said on national television. “From my perspective, each of those settlement points is Israeli. We have responsibility [for them] as the government of Israel. I don’t uproot any, and I won’t transfer them to the sovereignty of the Palestinians. I take care of them all.” He also said he would not withdraw “a single person” from any settlements, which are home to some 400,000 Israeli Jews. 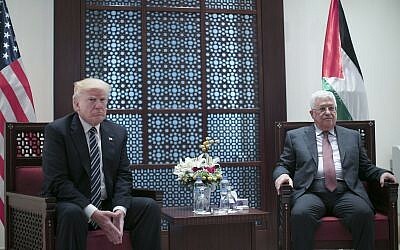 While the Trump administration has largely been simpatico with Netanyahu on policy — fulfilling his wishes to move the US embassy to Jerusalem, pull out of the Iran nuclear deal, cut aid to the Palestinian Authority, and, most recently, recognize Israeli sovereignty over the Golan Heights — it has expressed daylight on one issue: expansion of West Bank settlements. On the sidelines of the United Nations last fall, Trump said he favored a two-state outcome to the conflict. “I like a two-state solution. That’s what I think works best … That’s my feeling,” he said. 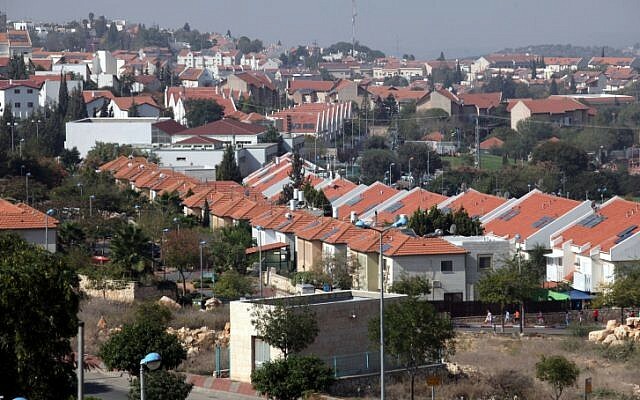 While the administration has held back from criticism of settlement building plans, it is unlikely that annexing all the West Bank settlements, which would make a Palestinian state impossible, would jibe with the unreleased peace plan. But it’s also far from clear that the administration will confront him over the issue. To be sure, the Palestinians have already written off the Trump administration’s peace efforts. Since the president recognized Jerusalem as Israel’s capital and subsequently moved the embassy there, Palestinian Authority President Mahmoud Abbas has refused to engage with Trump’s team of advisers, saying their weighing in on a final status issue negated their ability to mediate peace talks. 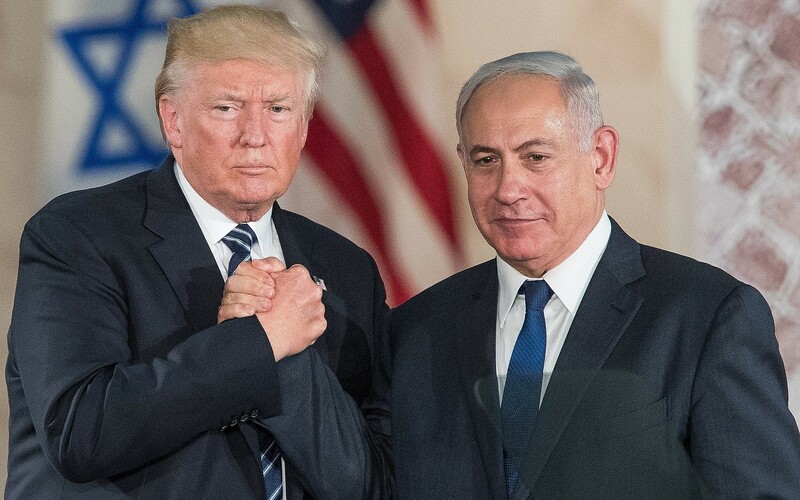 If Netanyahu does actually attempt to go ahead with the sovereignty plan, for which he insists he wants US backing, he could try to argue that the Palestinians refusal to engage with the American’s peace proposal justifies the move. Significantly, he has spoken clearly about sovereignty for the settlements only; asked in a subsequent interview whether he intended to annex Area C — the 60% of the West Bank in which all the settlements sit — but where more than 100,000 Palestinians also live, he said firmly that he did not intend to. “All the settlements. The settlements. All the area of the settlements themselves,” he said. In the meantime, there are signs that the US administration could be moving closer to Netanyahu’s views on how to handle the West Bank. US Secretary of State Mike Pompeo on Tuesday refused to tell senators during Congressional testimony whether the Trump administration was against annexing the West Bank, or for a two-state solution. “Ultimately, the Israelis and Palestinians will decide how to resolve this,” Pompeo said. 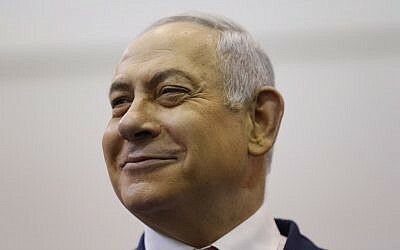 During the last election, Netanyahu made a similar gambit to boost right-wing support, when he warned that Arab-Israeli citizens were voting “in droves.” He also said, on the eve of that vote, that there would never be a Palestinian state on his watch. Shortly after he won the election and formed a government, Netanyahu walked back both statements. That was when former president Barack Obama was in the White House, stridently opposing settlement expansion and pushing Netanyahu to try to strike a peace agreement with the Palestinians. Netanyahu’s conditional support for two states has disappeared since Trump took office. But now, with little pressure likely to come from the White House, he may not have any pressing reason to walk back his settlement sovereignty promise.